Organizers haven't quite finished tallying up ticket sales, but the recently concluded 29th annual Vermont International Film Festival appears to have been a significant success. Attendance was up, and, more importantly, the festival seems to be on a path of stability and organizational sophistication. VTIFF's executive director, Orly Yadin, reports a grand total of 4,706 admissions for the 2014 festival. That's a jump of 10 percent from the 2013 figures, which were 20 percent higher than the numbers from 2012. "About a third" of this year's admissions, Yadin says, were technically unpaid, but that's actually a good thing. 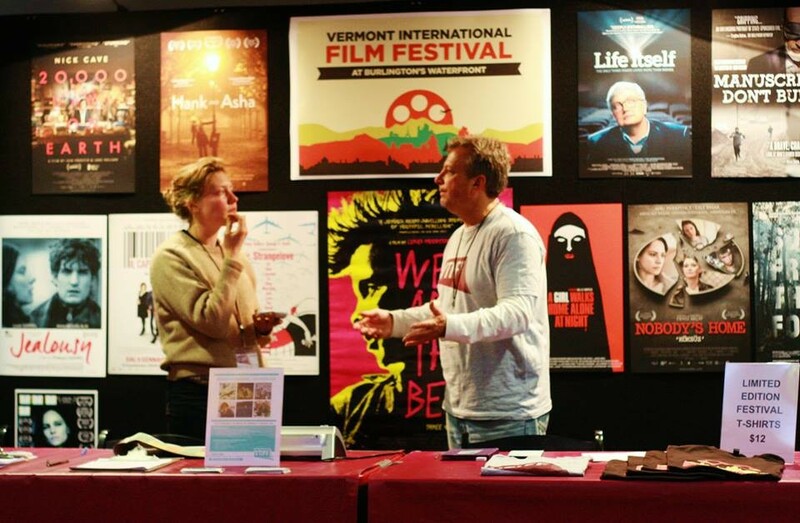 VTIFF (the acronym stands for both the festival and its parent organization, the Vermont International Film Foundation) now has about 150 members who pay at one of three levels. "Friends" and "Supporters" get discounts on festival tickets, among other perks, while "Patrons" get all-access passes with their membership payments. Yadin is eager to attract more members, whose advance, lump-sum payments help the festival achieve greater economic constancy. "Stability is the most crucial thing for us," she says. "Until this year, all of our income had been unstable." VTIFF's membership drive is just a little more than six months old, she says, and it garnered "maybe 20" new members during the run of the fest. Yadin likens the festival's operation to magazine publishing, in which paid subscriptions — even though they result in lower per-issue cover prices — are actually more valuable than the unpredictable newsstand sales of individual issues. On a larger scale, the festival's solidity has also been bolstered by a grant from Burlington City Arts that extends through the 2016 festival. As well, Yadin says, VTIFF received "a few big, unsolicited donations" right at the close of this year's fest. "That's an indication that [the donors] have gone to the festival, liked what they saw, and think we're worth supporting," she says. Yadin reports that several of the new programs on this year's festival were popular, citing in particular the lunchtime short-film showcases at BCA and the "After Dark" screenings of new horror films at ArtsRiot. One less successful series was the "family-friendly" films intended to attract families with young kids. Yadin says she's uncertain why this series was poorly attended, but she's not giving up on it yet. The short-film and After Dark series were exceptional in another regard: They took place at "satellite" venues. Nearly all other festival events — not just screenings but discussions and post-film hobnob sessions — took place at the Main Street Landing complex. VTIFF has a history of scattering its screenings across town, but organizers consolidated most of this year's events in a single location. "It was harder [to achieve success] when [the festival] was more disparate," says Doreen Kraft, executive director of BCA. "We were in South Burlington, in Burlington, on [the UVM] campus. I think using one central location allows it to become a living room, and that really builds a strong sense of community and ownership and desirability." Preparations for next year's film festival are already underway. It will be the festival's 30th anniversary, and Yadin hopes to draw on VTIFF's past as a way of celebrating how far it's come. She also intends to make a "concerted effort" to draw some "star power" to Burlington for the event. 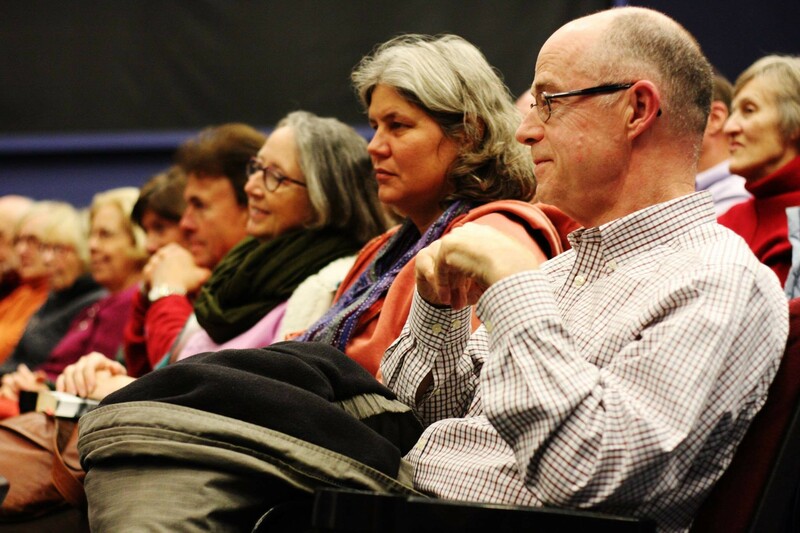 Deb Ellis, a professor of film at the University of Vermont and longtime member of VTIFF's board of directors, praises Yadin's organizational abilities and the professionalism of the festival's staff of volunteers. "[The board of directors] used to joke that we had to make sure the festival survived," says Ellis. "What's really nice about being on the board now is that we're experiencing it thriving. Right now, I would say that this is the best place [the festival] has been in a very long time."